Want to quickly see how the open-source software Beehive CMS works? You'll find a free and updated demo installation of Beehive CMS here. We are currently updating the Beehive CMS demo. Please check back shortly. There will be a new version up soon. 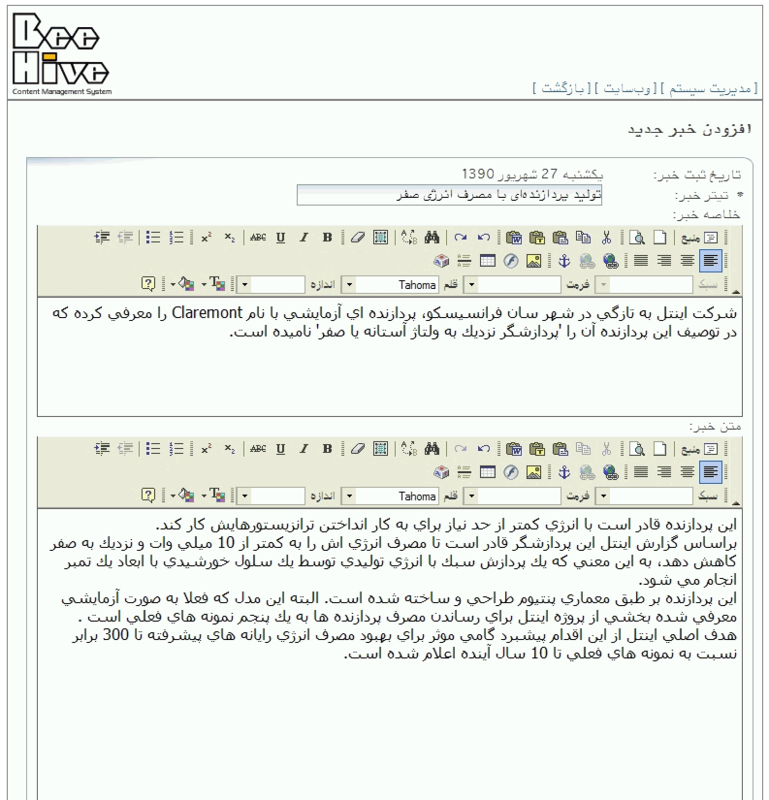 BeeHive CMS is the only software created for developing website and managing content in Persian. The content management system was developed by Damsan Computer Engineering Company in PHP and supports MySQL and Microsoft SQL databases. Some examples of features include secure authentication, a modular system that allows you to extend current functionality, website statistics, WYSIWYG editor and advanced user permissions. The screenshots below will give you a preview of how a BeeHive CMS demo looks like after installation and you can see the admin features this content management system has to offer. 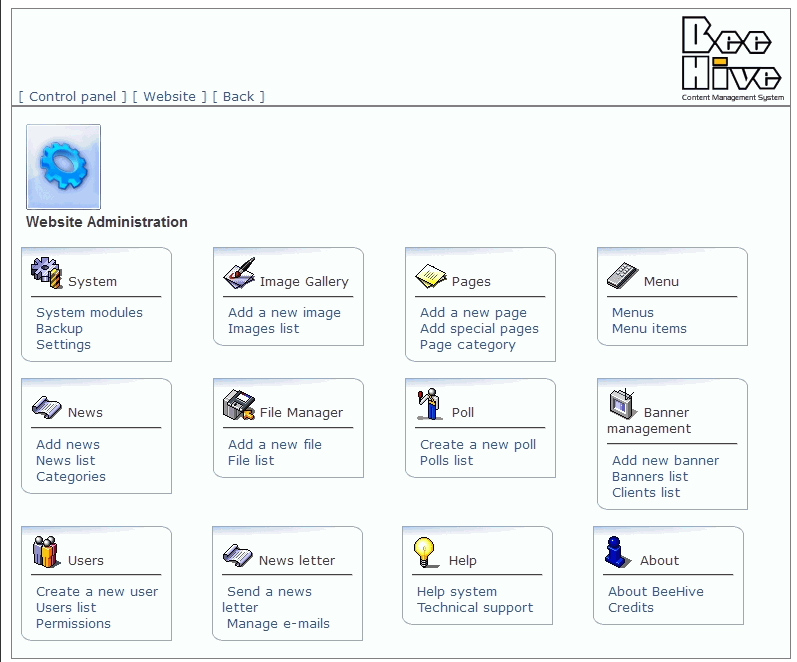 BeeHive CMS focused on providing website admins and users with a fully featured, easy to use interface. Beehive CMS is no longer active. There is no download available for this CMS.